The client wanted a bright, eye catching shot for their website using fresh asparagus. We sourced this lovely vintage plate from the 1950’s and used coloured accessories to bring out the beautiful striking colours in this shot. Cooked to perfection to keep the bright colours of the asparagus and lemon, we didn’t hang around to style and shoot this project. 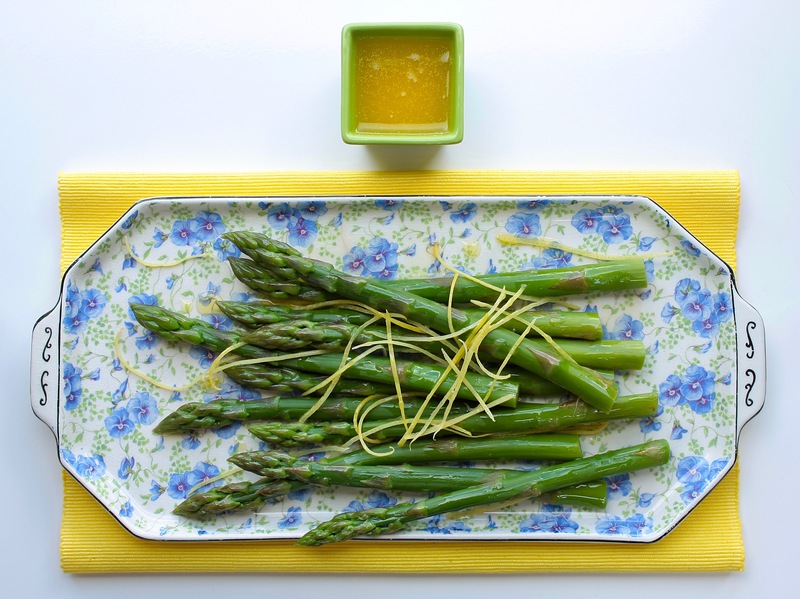 A plate of freshly cooked asparagus drizzled with melted butter with finely shredded lemon. We love the colours in this modern and vintage combo!